JCB India is geared up to play a pro-active role in accelerating construction of roads and highways in India by improving the productivity of its customers in the construction sector. 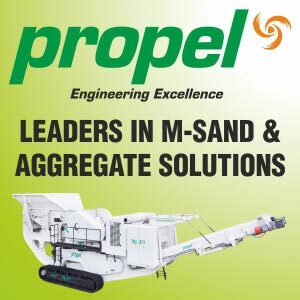 It has realigned itself to become a total road construction solution provider with its comprehensive range of products that can cater to almost all of the road construction needs. JCB India, a leading manufacturer of earthmoving and construction equipment in India, has further strengthened its product portfolio with the launch of its Premier Line Road Solutions to position itself as a Full Range Infrastructure Equipment Partner. By taking a solutions-based approach, the company has made a strategic move to establish its preparedness in meeting the rising demand for construction of roads and highways in India. “With the Government’s focus on infrastructure sector development, demand for construction equipment is set to pick up. Infrastructure is a deficit in the country; roads and highways, especially, continue to be a major driver for infrastructure growth in India, and the Government’s focus is evident through the significant outlay it has made towards this sector in successive national budgets,” said Mr. Vipin Sondhi, MD & CEO, JCB India Limited. Giving an overview of the CE industry in India, Mr. Jasmeet Singh, Head - Corporate Communications and External Relations, JCB India Limited, informed that the EC industry in 2016 was about 43% as compared to 2015. The number of machines sold in 2016 was 52,450 as against 36,750 sold in 2015. He was quoting ICEMA data for 7 product categories: Backhoe Loader, Excavator, Wheeled Loader, Compactor, Telehandler, Skid Steer, and Mini Excavator. Reasons for the phenomenal growth were attributed to macro-economic stability, normal monsoon, green shoots in irrigation, the Government’s proactive policy on Physical and Rural infrastructure and Railways, with Roads and Highways leading the growth story. “As per the Budget announced, the opportunity for roads in India is significant with Rs.64,900 crore allocated for roads and highways for 2017-18, an increase by 11.94% over the last fiscal; and Rs.19,000 crore for Pradhan Mantri Gram Sadak Yojana (PMGSY),” he stated. JCB India showcased its Made-in-India Road Construction Solutions during its recent week-long Road Solution Day held at its state-of-the-art factory in Pune. During the interactive event, company officials and machine operators showcased the versatility and utility of each machine in the construction of roads. On display were JCB’s Premier Line of larger Excavators, Wheeled Loaders and Compactors, which are specifically designed to give maximum value to customers through a comprehensive range of customised support packages that offer real time and proactive product support solutions. In the large Excavator category, the JS 205LC (20T Tracked Excavator), the JCB 220LC Xtra (22T Tracked Excavator), and the JCB 305LC (30T Tracked Excavator) were shown in action. In the Compactor range, the recently introduced JCB116 (11T Soil Compactor), the VMT860eco (9T Tandem Roller), and the VMT330 (3.3T Mini Tandem Roller) were demonstrated, and also the JCB 455ZX, the 5.5T Wheeled Loader, which is primarily used for bulk material loading, JCB’s world-class ecoXcellence Backhoe Loader – the 3DX Xtra, the 3T Mini Excavator - JCB 30Plus, and the class leading range of Material Handling product solutions which includes the Telehandler and the Skid Steer Loader. The utility of JCB’s GQ100Kva Diesel Genset and the leading range of attachments such as Man Basket, Auger, Rock Breaker, Pallet Fork and Sweeper Collector, etc., were also experienced at the event. A quick response time by the service engineer to a call for service from a customer demonstrated that JCB customers get fast and hassle-free service and spare parts for their machines, and service engineers are often deputed at sites to provide service support with the least delay. With Internet of Things (IoT)becoming an important part of daily operations, JCB’s innovative telematics technology ‘Livelink’ has gained immense popularity in the industry as it enables users to remotely monitor their machines. It maximises the productivity of the machines by providing real time alerts on Service, Operation and Security benefits to the machines owners. All JCB machines are backed by a product support network of over 60 dealers and 650 outlets, making it the largest dealership network in the construction and earthmoving equipment industry. The outlets, spread across India, employ over 6,000 trained professionals who cater to different customer requirements. JCB India, a fully-owned subsidiary of J.C Bamford Excavators, UK, has five world-class factories in India. It manufactures 50 products in 8 product lines, which are sold in India and also exported to over 70 countries. The company’s in-house Design Centre in Pune has been at the forefront of all its innovation programmes, which include its range of machines exhibited at the event.